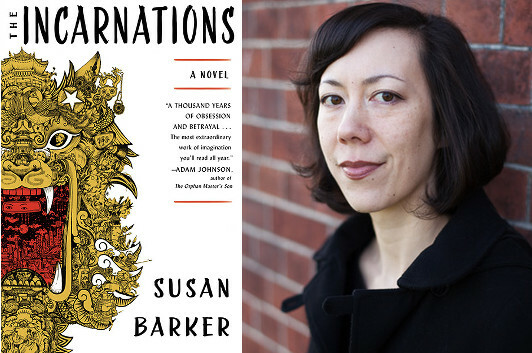 Late last summer, a friend who was in England tweeted about a novel she’d just found, The Incarnations by Susan Barker, and how amazing it was. It didn’t seem to have an American publisher, and it sounded like exactly the sort of thing I’d like to get a look at in my capacity as an acquiring editor, so I made enquiries, and found out that I was just a smidgen too late—the rights had already been picked up. Now, a year later, I’m finally getting to see why my friend was so excited, and I’m having much the same reaction. I’m approximately one-third of the way through, and there’s suspense, there’s the possibility of fantasy, and at the heart of the novel there’s a compelling character study wrapped in a portrayal of life in 21st-century China. In this guest essay, Susan Barker talks about the circumstances of the novel’s creation over a period of time in which it seems the only constant was the novel’s creation. During the six years I spent writing The Incarnations I lived in seven cities in four different countries. I moved in and out of seventeen different houses and flats in Beijing, Seoul, Colorado, Boston, Leeds, Washington, DC, London and Shenzhen. I have lost count of the long-haul flights I made, crammed in economy, crossing oceans and continents and time zones, between the UK, China and the US. This itinerant life, where I got a new stamp in my passport every three to six months, wasn’t my original plan. When I first moved to Beijing in 2007, I expected to spend several years researching, writing and completing my novel. However, a pre-Olympics change in China’s visa regulations meant I had to leave mid-2008, and then came the offer of house-sitting gigs in the States, and then the decision to accompany a boyfriend to his new job, and so on and so forth. The regular packing of suitcases, getting on and off aeroplanes, recovering from jet-lag, acclimatizing and settling in, were at odds with the stability and routine I need to work. But as a self-employed writer with no 9-to-5 job, mortgage or children, I was free to improvise my life, moving whenever a new opportunity arose. As I was broke for the six years I was writing The Incarnations, the offer of rent-free or cheap accommodation was a motivating factor in where I lived. Often the expenditure on airfare in exchange for a few months house-sitting made monetary sense. I sometimes moved without seeing my new temporary residence first, but the leap into the unknown led to some amazing locations; like a house in Colorado with a view of the Rocky Mountains in the distance, or the apartment where I stayed for a snowy winter in Cambridge, Massachusetts, with the libraries of Harvard within walking distance. It also led to some surreal scenarios, like the summer I spent in the suburbs of Washington, DC, pet-sitting a fluffy white cat called Mr. Cookiepants (whose owner was cycling to San Francisco on a recumbent bike). Other living situations turned into a test of endurance. I spent the summer of 2008 in Seoul, with a boyfriend who had a teaching job (and free accommodation) there. We lived in a basement room in an entertainment district, crowded with neon-lit bars, clubs and massage parlours. Our building’s communal bins were outside our barred window, and the stench of rubbish and black flies made their way into our room, which was sauna-like in the Korean summer heat. Late at night we were woken by the soju-drunk businessmen who rented the rooms above us, stumbling in, sometimes with prostitutes from the nearby bars. We were woken by the sirens and flashing lights of an ambulance and police car, summoned to our building at 3 a.m..
My pursuit of low-cost accommodation led to other precarious places. 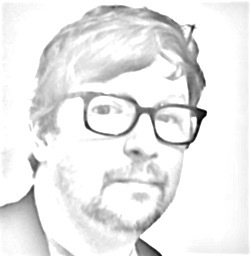 When studying in Beijing in 2009 I lodged with a couple employed by the Ministry of Agriculture, who for £80 (about $120) a month let me sleep in a bunk-bed on a sixth floor balcony that had been converted into a bedroom. There was a gaping hole in the window, covered by a loose plastic bag. For the first week the night breeze and dazzling view of city lights was invigorating. But then snow fell early in November, and the temperature plummeted below zero. There was no heating on the balcony, and every night I climbed up the bunk-bed ladder in several layers of clothing, crawled under the duvet and shivered myself to sleep. During the years of frequent moving, I was superstitious about printing out the latest draft of The Incarnations and carting it with me everywhere—regardless of how many kilos of my luggage allowance it took up. Though the plot, themes and characters were ever-evolving, the manuscript was a constant in my life, and working on it a priority. The first thing I did when I moved somewhere new, before unpacking or sleeping off jet-lag, was to drag a desk, chair and lamp over to the corner of the bedroom or junk-crammed spare room and set up a workspace. The more broke I was, the more temporary and unstable my living situation, the greater my need to immerse myself in my work-in-progress. The manuscript brought identity and meaning to my life, and when I couldn’t work on it, I was lost. I finished writing The Incarnations at the beginning of 2014 and I’m now temporarily back in my hometown of London, looking forward to beginning another book, and the focus and sense of purpose it will bring. Plans for the long-term have yet to be decided, but I am hoping they will be soon. The nomadic way of life was interesting for a few years, but now I’m in my late thirties, a monthly income, a pension plan and other trappings of security are the things I’m starting to romanticize. So as my thoughts turn to a new novel, I also intend to expend some mental energy on making plans for the future; to choosing a place to settle-down, and putting the itinerant years nostalgically in the past.